Since being elected in November 2014, Victorian Premier Daniel Andrews and his Labor government have been vocal in their support for education, employment, addressing domestic violence and dumping the East West Link. It is surprising and disappointing therefore that health has become somewhat less of a priority. Only six weeks into office, Daniel Andrews unequivocally stated his support for the retention of a McDonald’s in Victorias Royal Children’s Hospital (RCH). Additionally he has opened the doorway for a McDonald’s to be included inside the new publicly funded Monash Children’s Hospital due to open in 2017. Without question junk food contributes to childhood obesity and subsequent weight related issues including type 2 diabetes, fatty liver, sleep apnoea and cardiovascular problems. As it now stands currently one in four Australian children and two-thirds of Australian adults are overweight or obese; costing the taxpayer $21 billion a year in health costs and lost productivity. Daniel Andrews has sided with commercial and economic interests rather than listening to the many health advocates (doctors, paediatricians, academics, naturopaths, nutritionists and parents) who have voiced their concerns. Daniel Andrews is quoted as saying “having a McDonald’s at the RCH was in the best interests of the community”. McDonalds has won on several fronts. Having a McDonald’s at a tax payer funded hospital is incredibly powerful for its brand power. Having a McDonald’s next to or in a hospital convinces many people that its food is healthier than it is (nutritional credibility). By eating at a McDonalds, customer believe that this money will support the hospital. Many hospitals in the United Kingdom, United States and Western Australia have led the way in refusing contracts with junk food outlets such as McDonald’s. By refusing to allow McDonald’s in our hospitals this sends a clear message to parents and children of what is healthy. Daniel Andrews contends that his government and the health community have no role in influencing parents in what they feed their children. By the same mindset why than continue with such progressive health policies such as health promotion in workplaces, smoke-free public spaces, warnings on food labels and plain packaging of tobacco? In order to counteract the billions of dollars that McDonald’s spends on advertising, manipulating and influencing parents and children, the government needs to be pro-active in providing and advocating healthy alternatives. This is not ‘nanny state-ism’, this is about leading the way in the protection of a world-class public health-care system and protecting the health of families across our state. 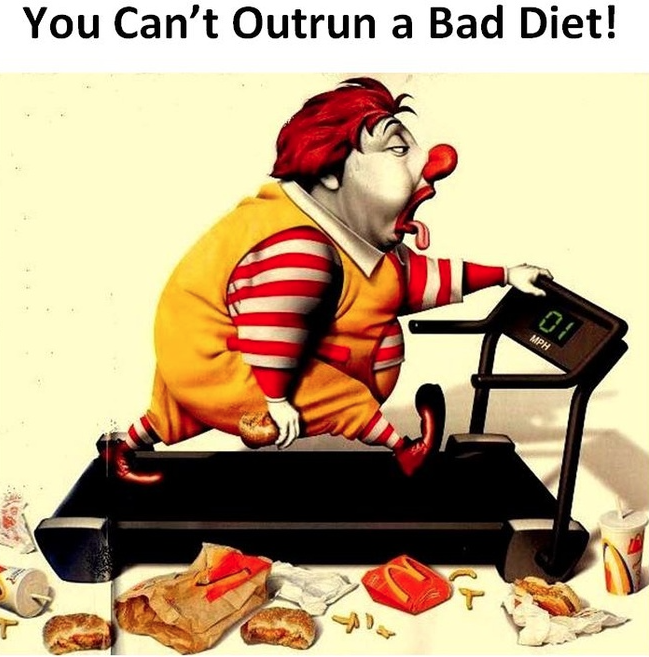 McDonald’s is not a treat- it is barely food. Surprising it may be but a few reassuring words from our leaders can still have impact in influencing our decisions. Shouldn’t hospitals (including its cafes and other eateries) be providing the best food possible to ensure a speedy recovery for our children, rather than embracing junk food outlets like McDonald’s which contribute to obesity and its related diseases? Beyond argument is that hospitals must provide food that is good quality, accessible at all hours, affordable, exciting for young people and in a form that patients want. Melbourne has a richly deserved reputation for wonderful, fresh, innovative and healthy food and there are a plethora of alternative companies that could do so much better than McDonald’s. In this aspect of health policy Daniel Andrews and his government have got it wrong.